Last week, Yaakov Weksler (b. 1943) had his Bar Mitzvah in the Yad Vashem Synagogue. 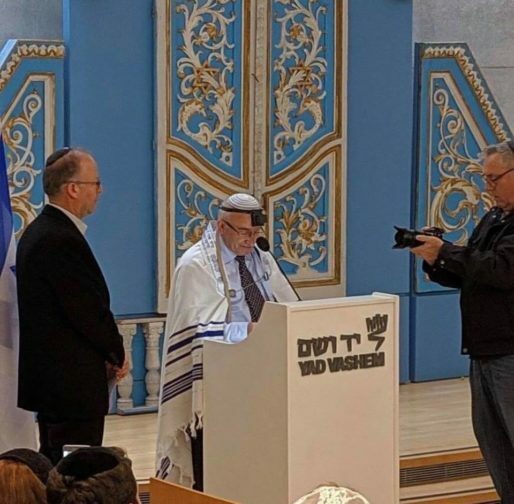 A former Polish Catholic priest, Yaakov (formerly Romuald Waszkinel) discovered at age 35 that he was in fact the son of Jews killed in the Holocaust. In the hopes of saving their infant son’s life, Yaakov’s parents left him in the care of a Polish family before they were transported to concentration camps. His mother and brother perished in Sobibor and his father in Stutthof. Today, Yaakov resides in Israel and works in the Yad Vashem archives.